An new community based project to provide a centre for small businesses and pupils at Locon Childe School. Cleobury Country Centre is a community based project to provide a centre of training and excellence for the local small business community, conference and teaching spaces for the school’s A level Business Studies course, business starter offices, and a public library. 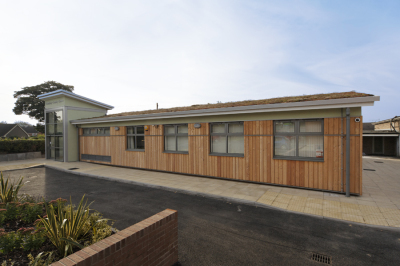 The project was initiated by a working group of local businesses, in partnership with Lacon Childe School – where the centre is located. The project showcases sustainable technology, and is heated by a ground source heat pump. Electricity is generated by a photovoltaic array on the roof, and the wall and roof construction is of super-insulated timber frame. 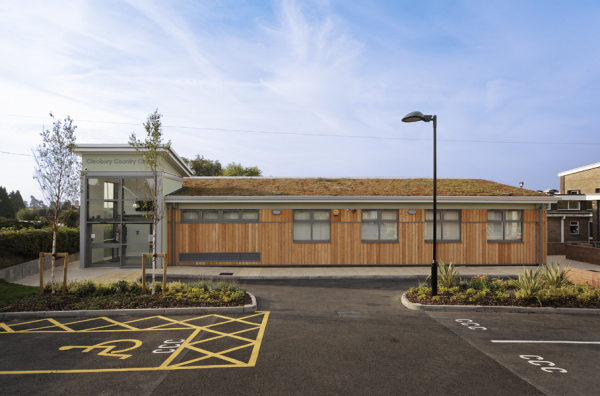 External walls are clad with untreated native larch boarding, and the roof covering is an extensive sedum roof, with a mix of native plant species. 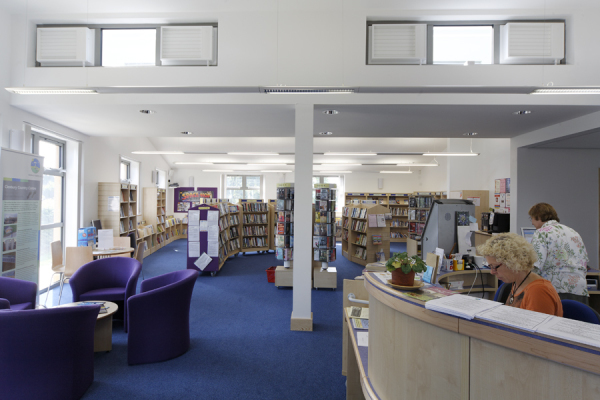 The branch library was a late addition to the project partnership, arising from public consultation. 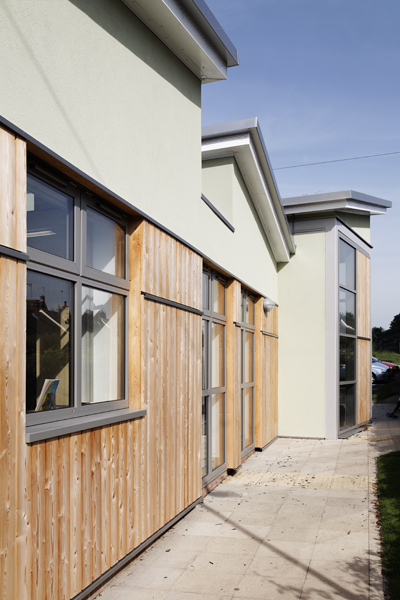 The benefits of a shared reception facility were clear, as Cleobury Country as a self funding, non-profit organisation. The project was funded by Advantage West Midlands.
" Cleobury Country Centre is an excellent civic addition to the village of Cleobury Mortimer. With a combination of low-energy use, on-site generation and sophisticated environmental management systems, the building’s sustainability credentials are excellent – an example for others to follow."